We can machine most materials! 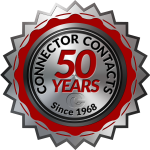 Connector Contacts can create your desired contact out of a wide variety of materials including exotic metals, high-temperature and super-alloy metals. For more information on the materials we machine or if you’d like to discuss your requirements, contact us or send arequest for quote.